Positively Crochet is the latest book by crochet designer, Mary Jane Hall. This is an amazing book containing 50 projects – and unlike so many other books that include just a few core projects with several variations, this book contains 50 absolutely different projects. The projects are extremely wide and varied. They cover garments such as boleros and sweaters, boleros and shrugs, scarves and hats, bags and wrist warmers and a whole variety of jewelry items – there is even a project for a cute pair of Mary Jane slippers. The projects include items for women as well as girls. The designs are extremely varied and include a wonderful sweater with beautiful flowing sleeves and an unusual neckline through to a funky watch strap. 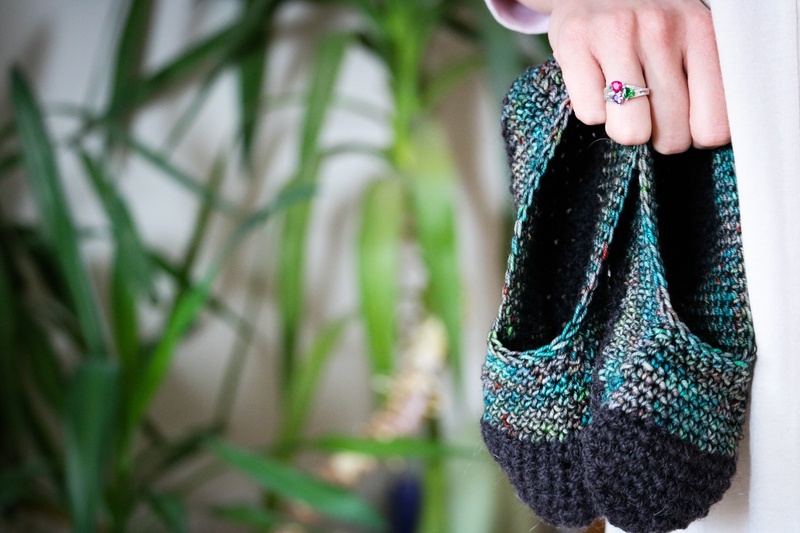 The designs cleverly use the versatile nature of crochet and forming stitches to introduce texture and shaping to items, yet using stitches that are still accessible to a beginner crocheter. In Positively Crochet Mary Jane has taken a sideways look at some of the challenges that face crocheters and come up with some innovative solutions. An example of this is the skirt overlay – a simple yet extremely effective idea. Many crocheters would love to crochet a skirt, however are put off by the time and the practicalities of a fully crocheted skirt, so Mary Jane has designed a crocheted skirt overlay that can be worn over a skirt to give a crochet feel, but without the dense crochet required to form a thick fabric. This skirt overlay would adapt any skirt to a variety of occasions as well as looking great on the beach. The jewelry designs are very attractive and the crocheter can produce a whole range of jewelry using little in the way of special materials. Many of the techniques can be adapted and varied giving a wide scope of possibilities. In addition to traditional crochet yarns, some of the designs use some more unusual items such as metal, fun fur and sari silk. In addition to yarns, some projects use embellishments such as buttons, charms and beads. Each pattern clearly states the yarn or materials required, however gauge is given as well which allows for yarn substitution if required. Many projects have plenty of scope for adapting and customizing, and the addition of extra beads or a different yarn will give a whole new feel to a design. Projects are included for crocheters of all experience levels, and most projects can be undertaken by crocheters with little experience. Helpful hints are included throughout the book, and even big projects such as the Long Lacy Tunic are surmountable when taken step by step. Guidance is given as to the experience level required for each project. There are no ‘how to crochet’ instructions with in Positively Crochet, however many crocheters will welcome this and the fact that precious pages haven't been taken up with what they already know. 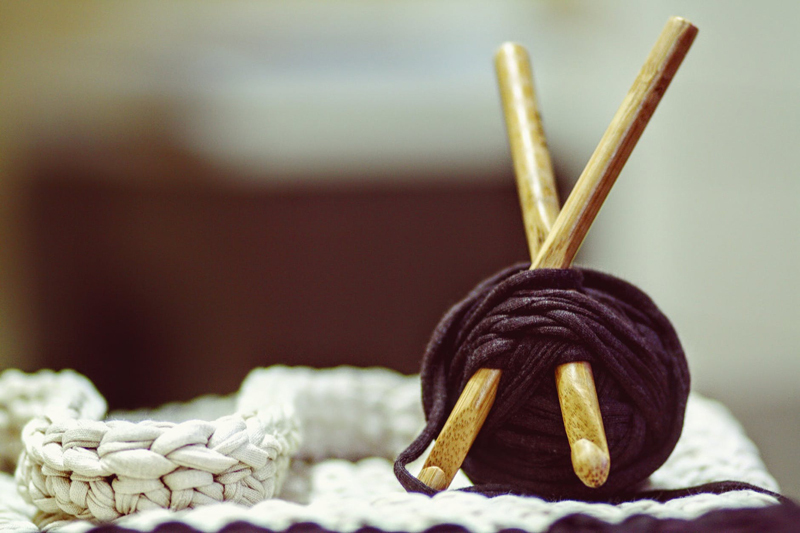 There are many other sources of crochet lessons and instructions freely available. This would be an excellent book for both a beginner / intermediate crocheter who is still looking to learn more about crochet and an experienced crocheter looking for inspiration. While it would be unusual for a crocheter to fall in love with every one of the 50 designs, the choice of designs is so great that there is likely to be plenty to appeal! With a cover price of US $22.99 Positively Crochet is excellent value for money. There are many excellent crochet books available, however there are very few that match this book for the range and variety of designs. A crocheter can make a full range of items from this book, or add their own variations and customizations creating an massive range of possibilities.